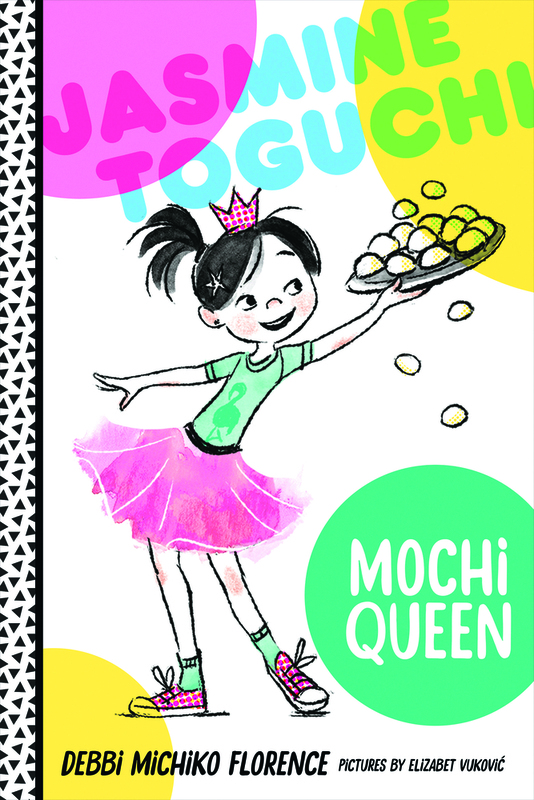 The first book in a new chapter book series featuring a spunky Japanese-American heroine! She's also tired of her big sister, Sophie, always getting to do things first. For once, Jasmine wishes SHE could do something before Sophie—something special, something different. The New Year approaches, and as the Toguchi family gathers in Los Angeles to celebrate, Jasmine is jealous that her sister gets to help roll mochi balls by hand with the women. Her mom says that Jasmine is still too young to join in, so she hatches a plan to help the men pound the mochi rice instead. Surely her sister has never done THAT before. But pounding mochi is traditionally reserved for boys. And the mochi hammer is heavier than it looks. Can Jasmine build her case and her mochi-making muscles in time for New Year's Day?